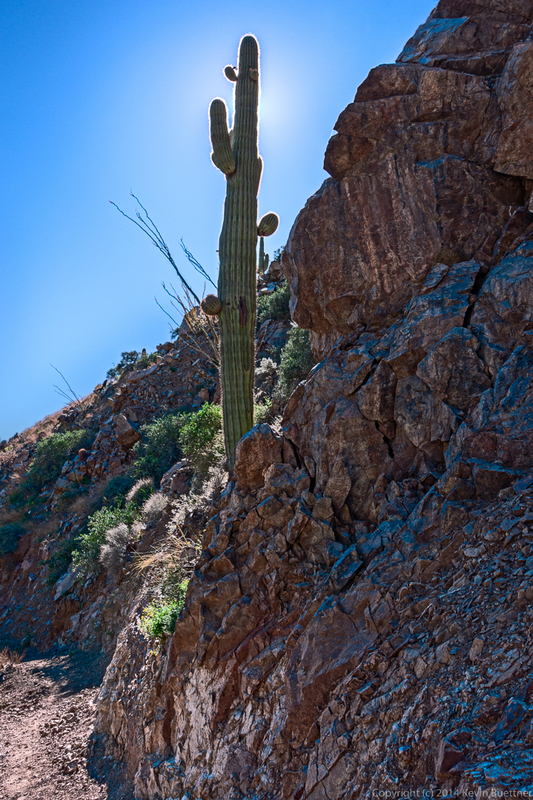 This is a view from the Dixie Mine Trail on late Sunday afternoon. 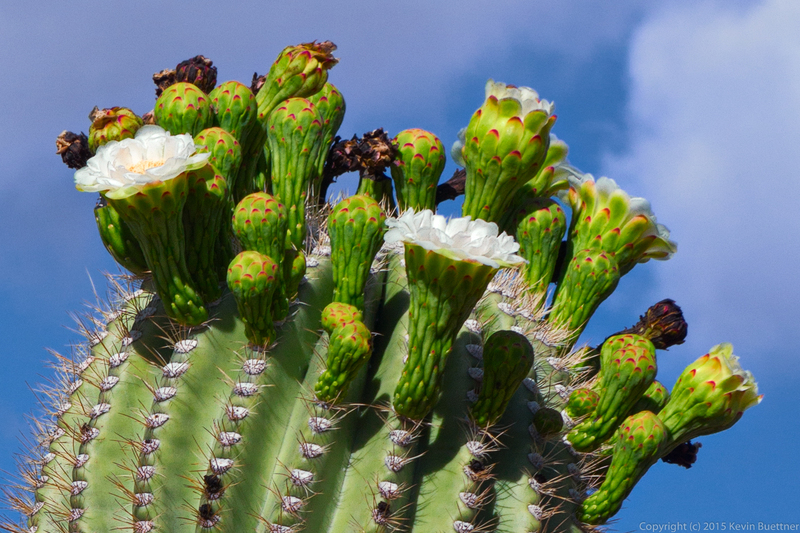 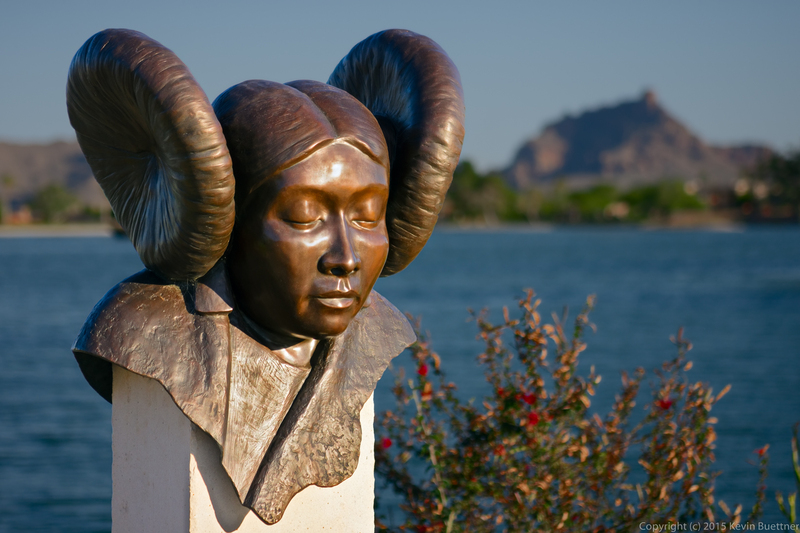 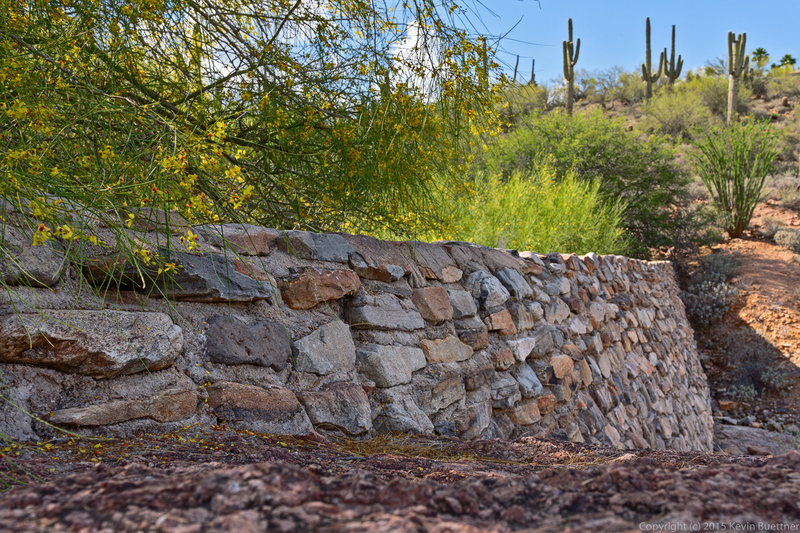 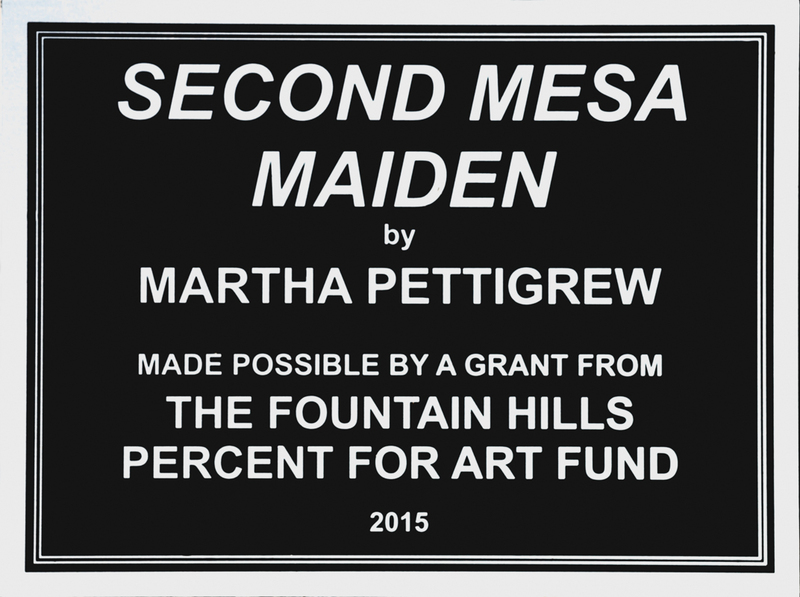 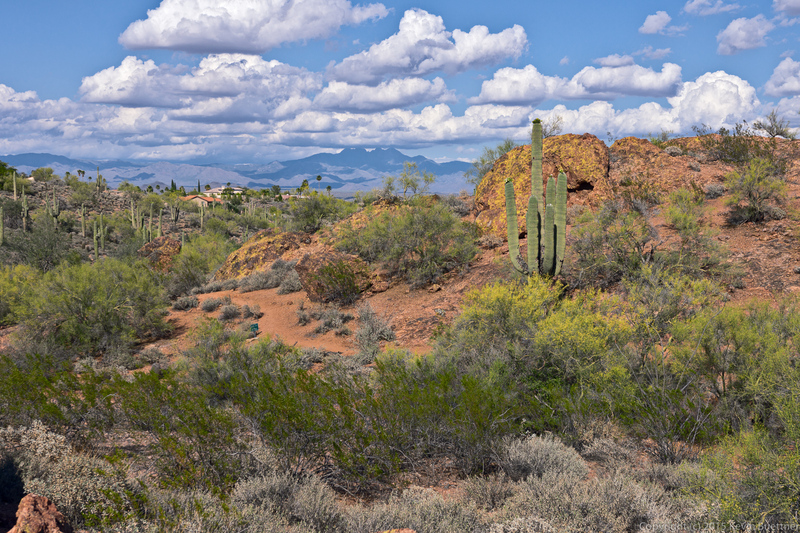 On Saturday, Marilyn and I walked the trails in the Fountain Hills Botanical Garden. 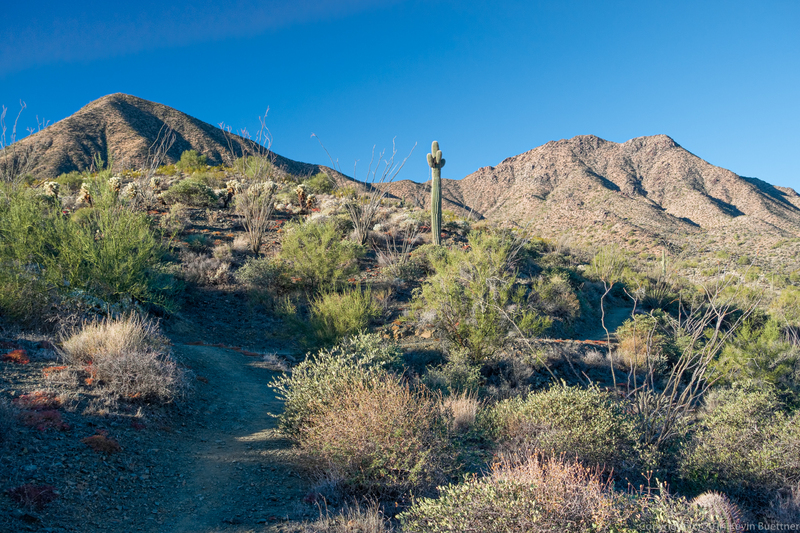 Last Friday’s hike started at the Dixie Mine Trailhead. 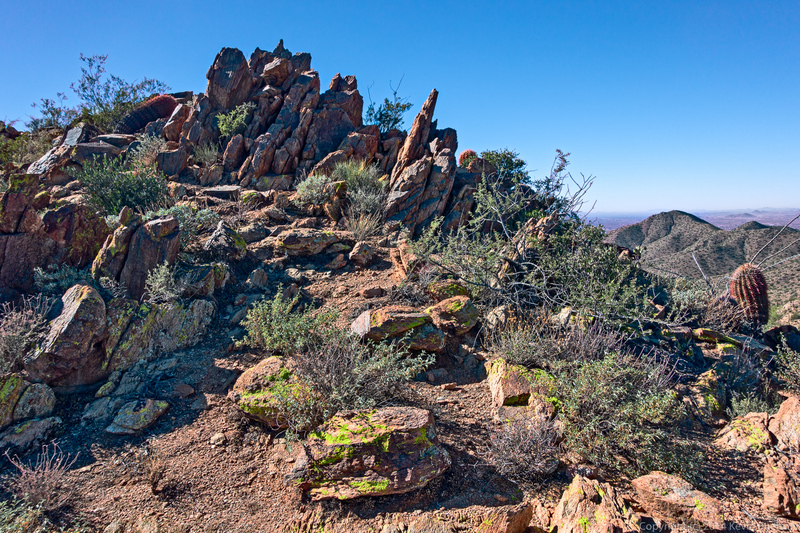 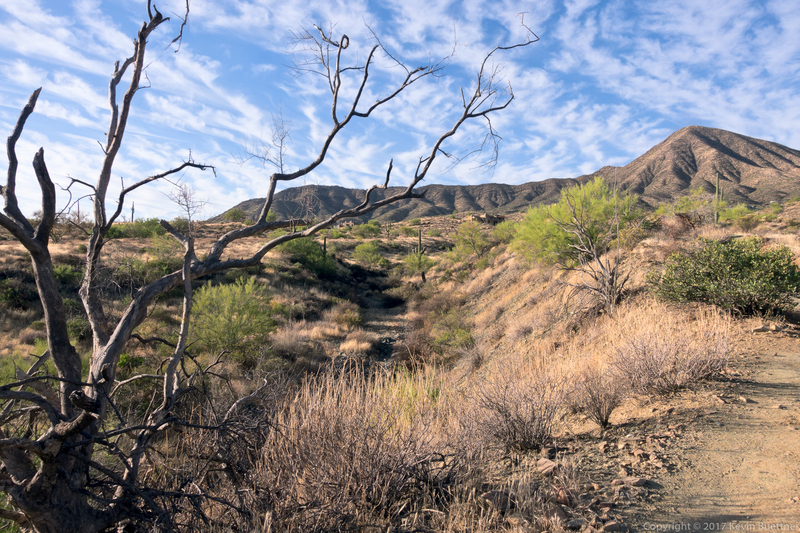 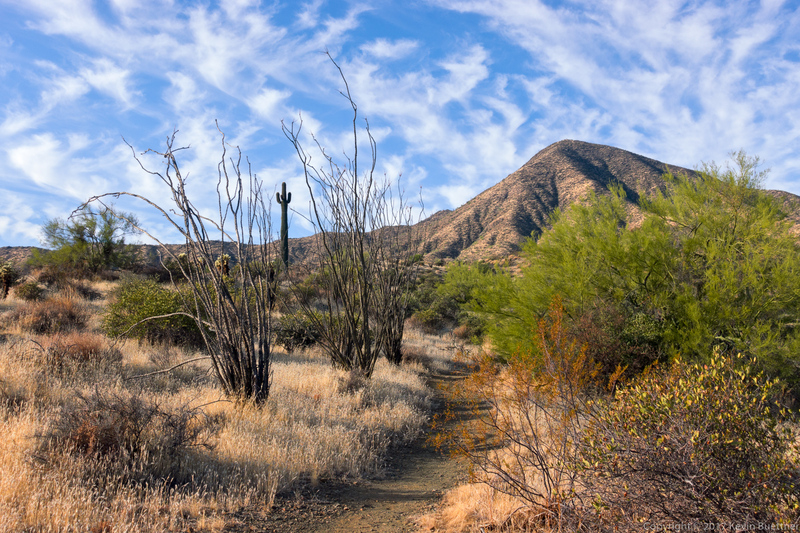 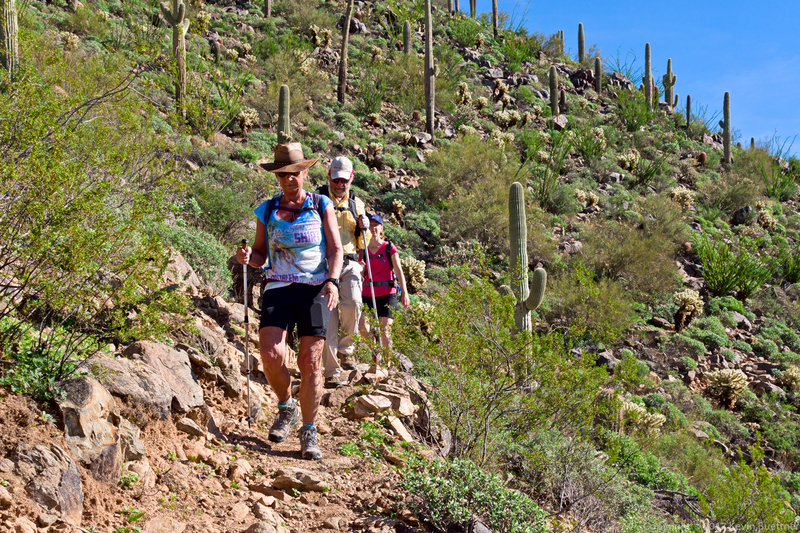 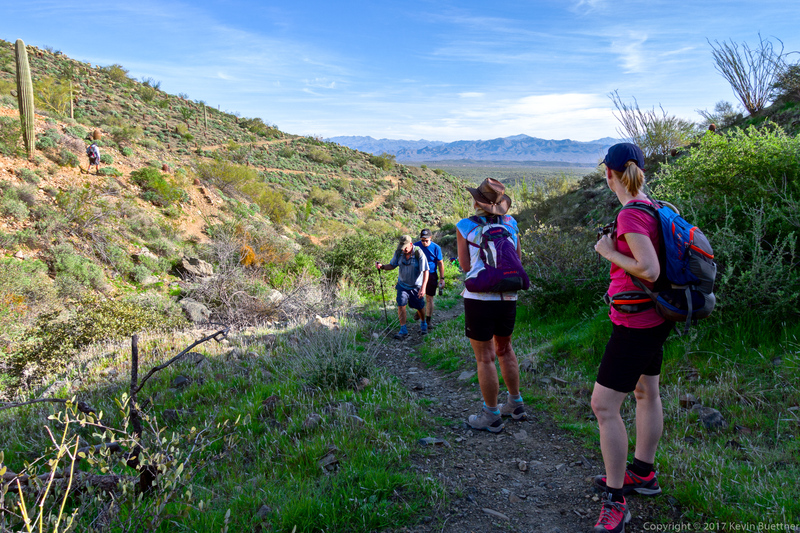 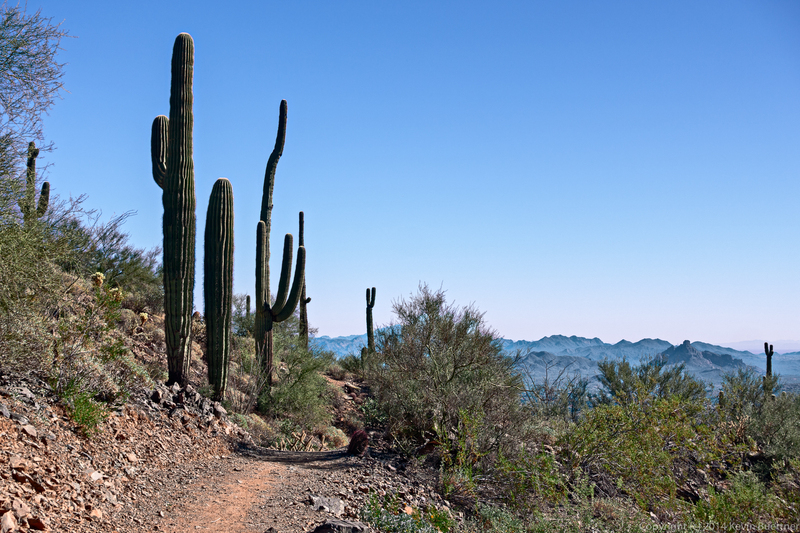 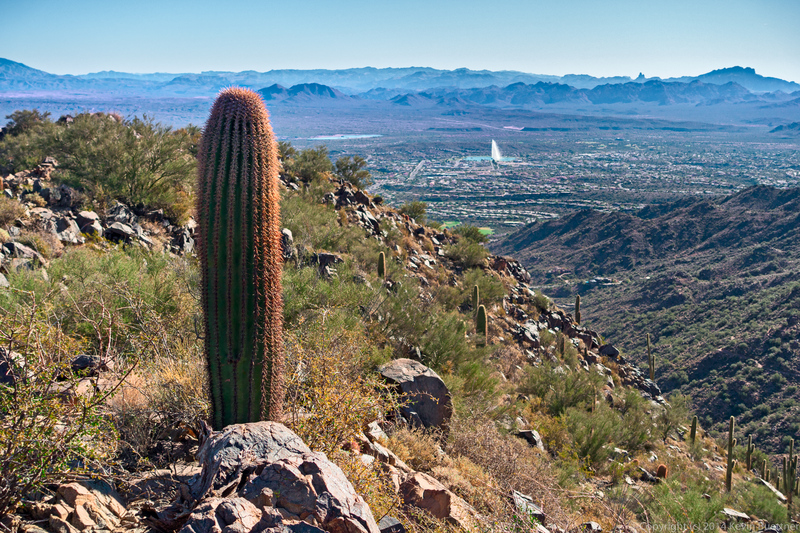 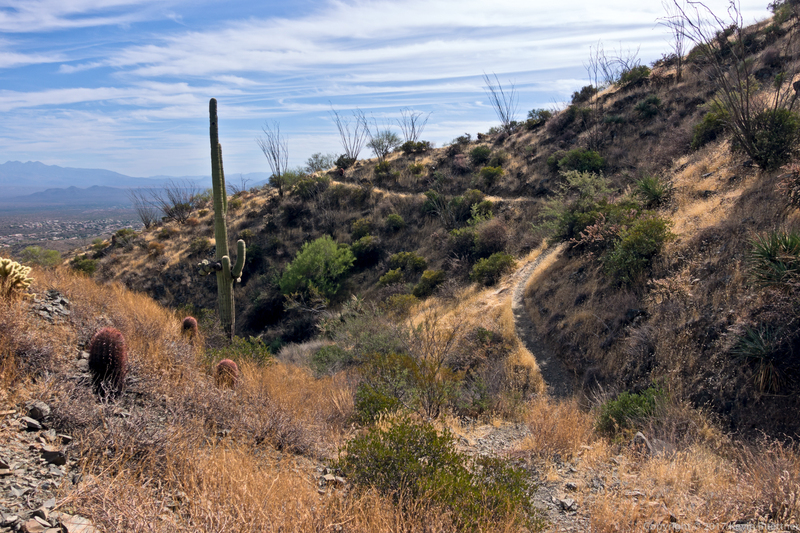 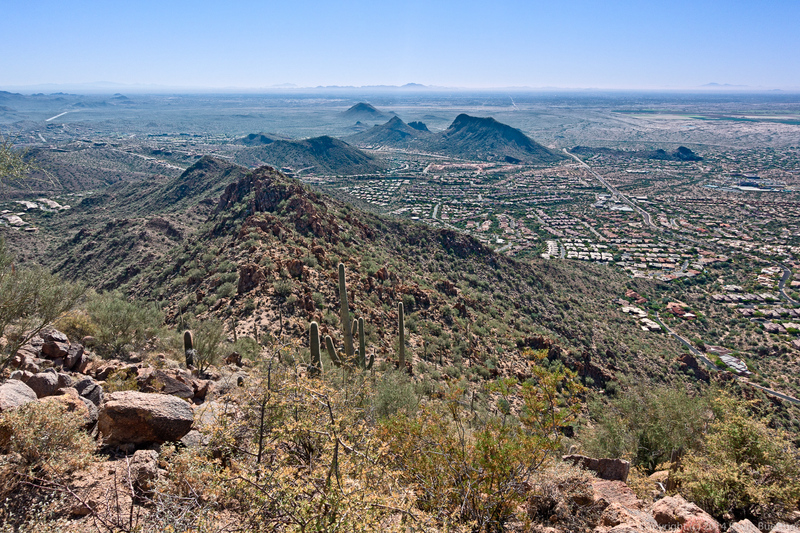 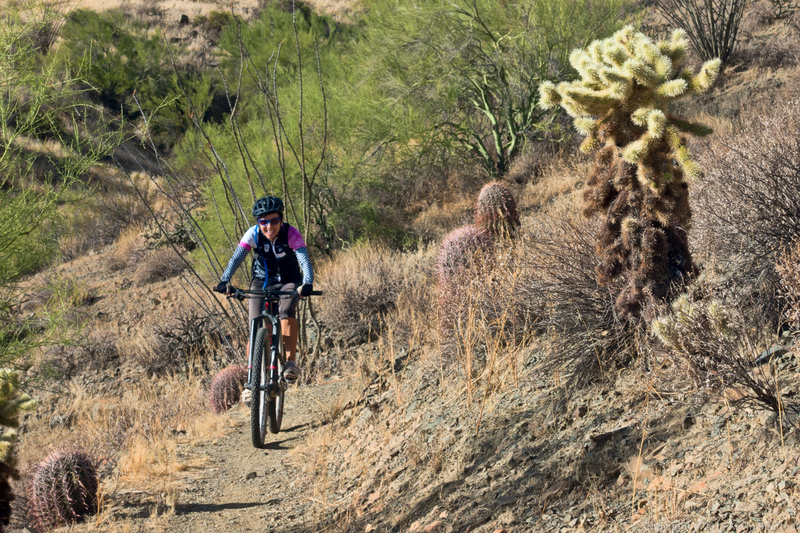 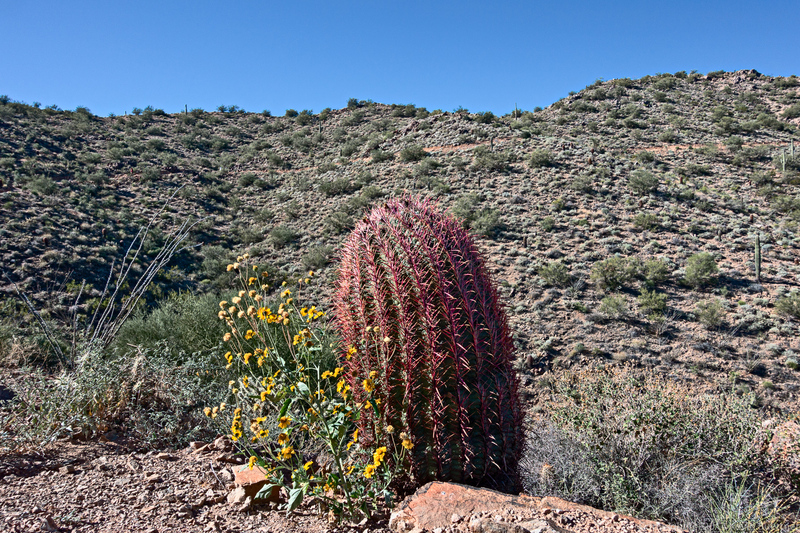 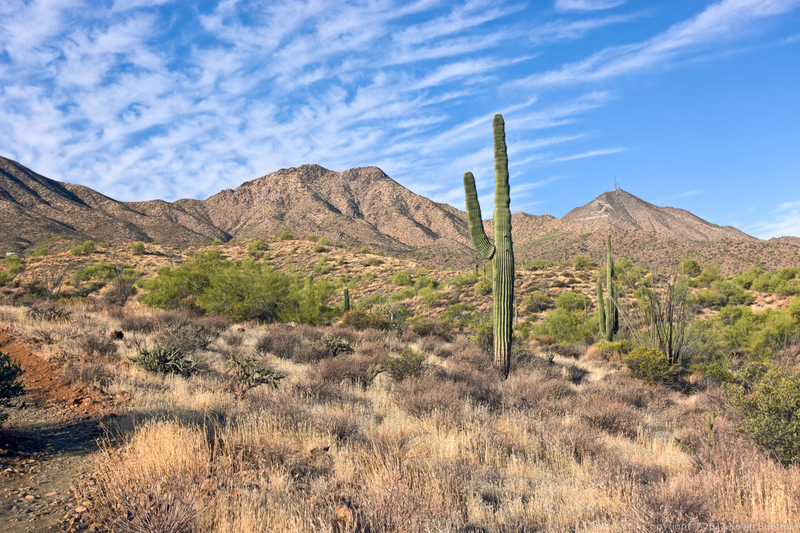 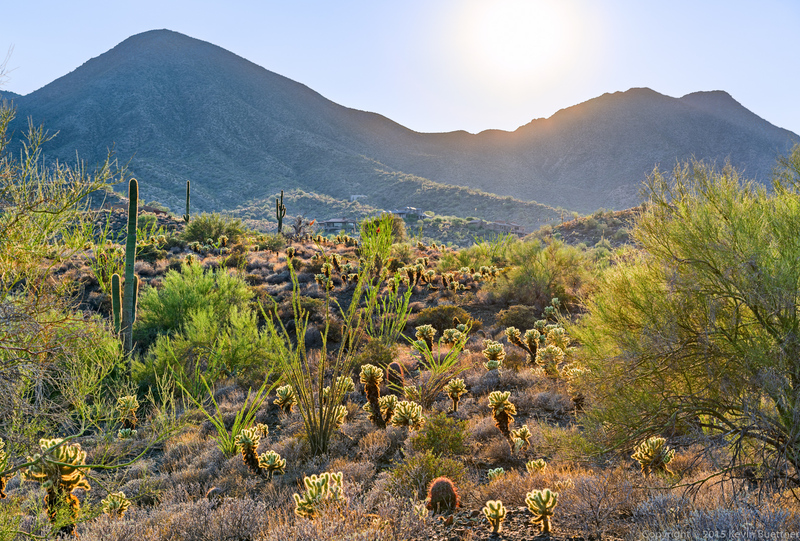 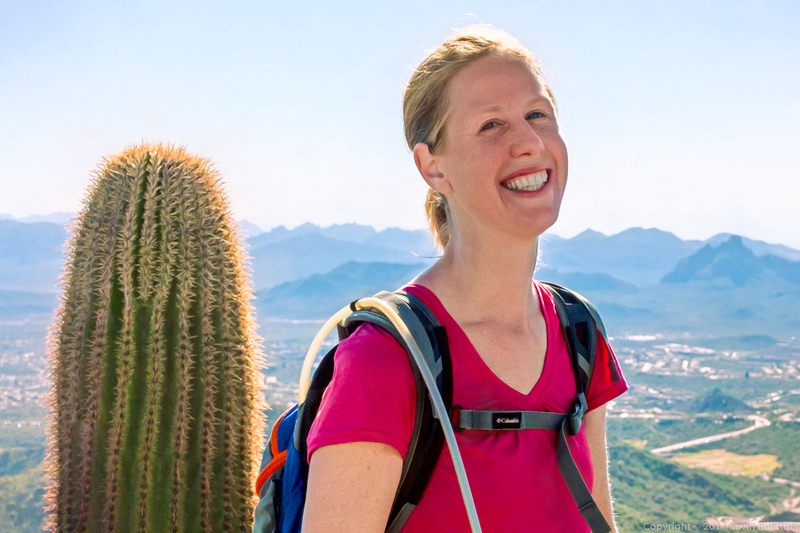 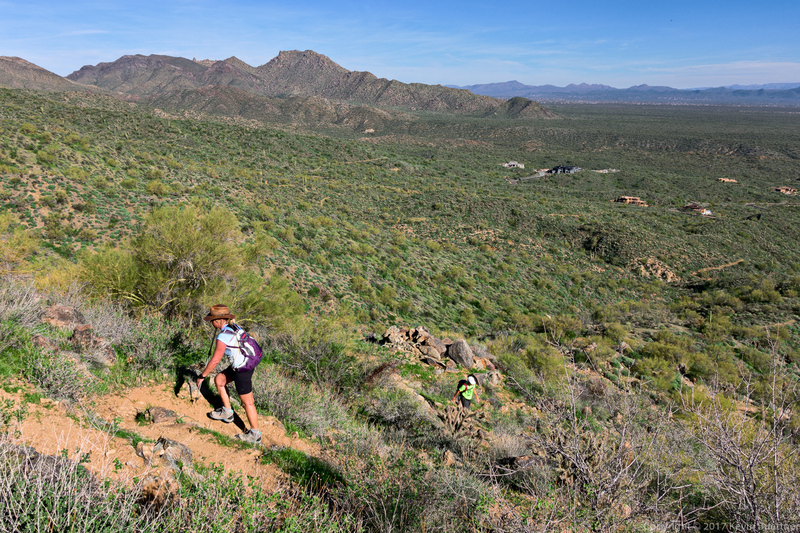 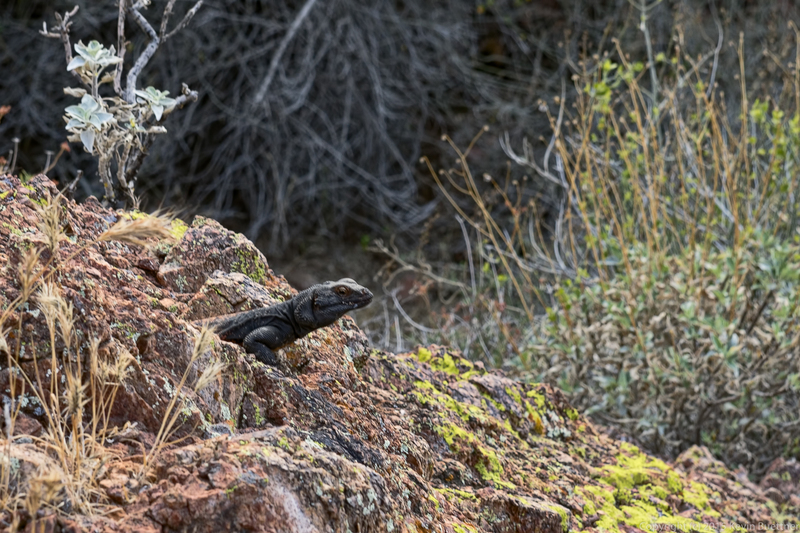 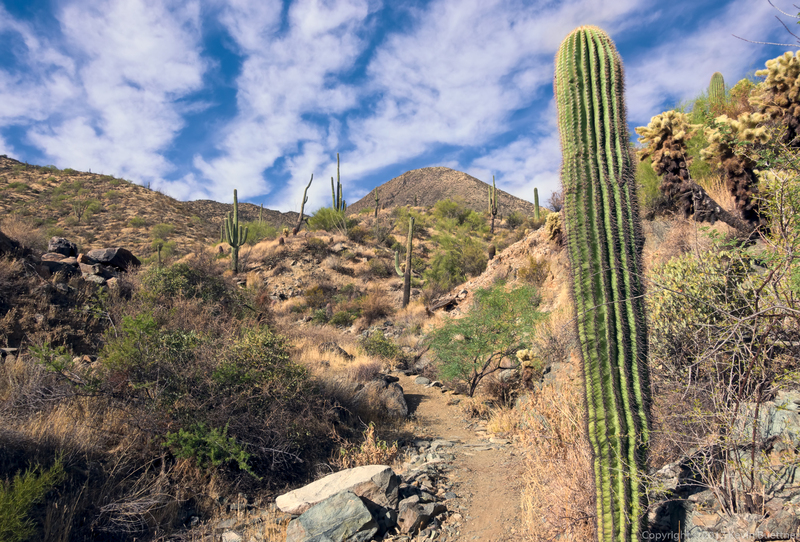 We hiked Dixie Mine to Sonoran and took Sonoran until it joined with the Promenade Trail. 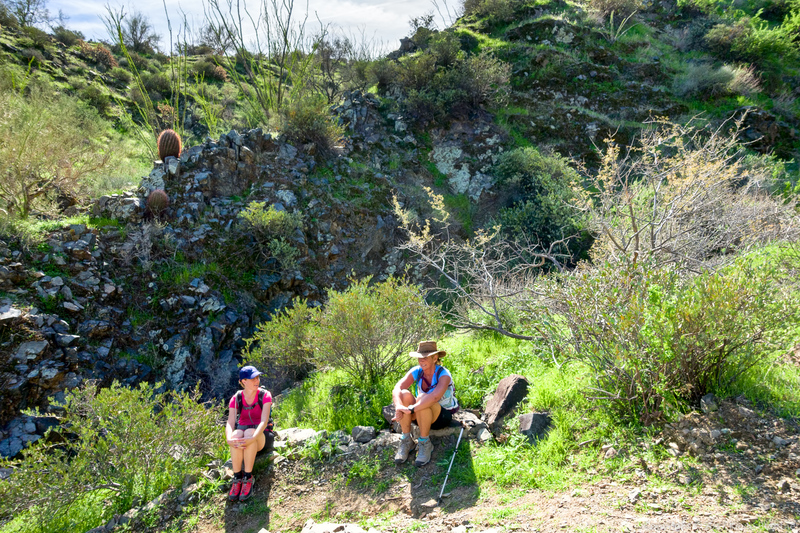 At that point, Linda, Janet, Charles, Angel, and Marilyn turned back for a 7.8 mile hike. 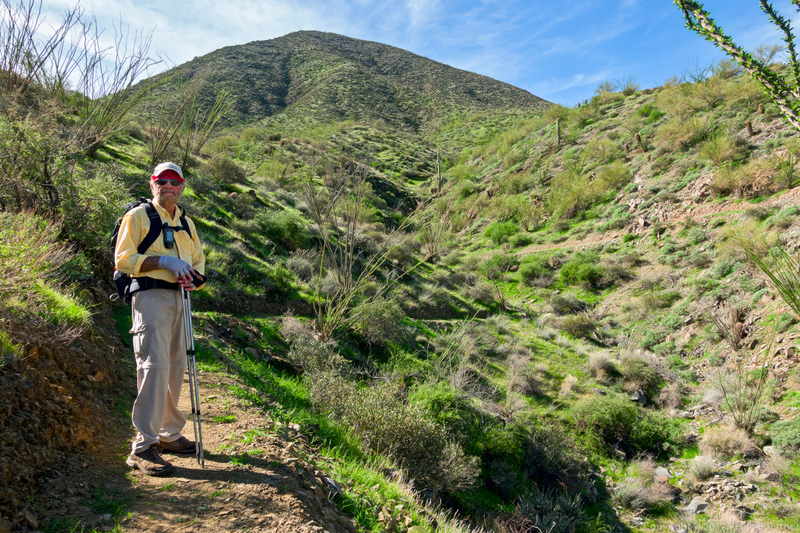 Bob and I continued on. 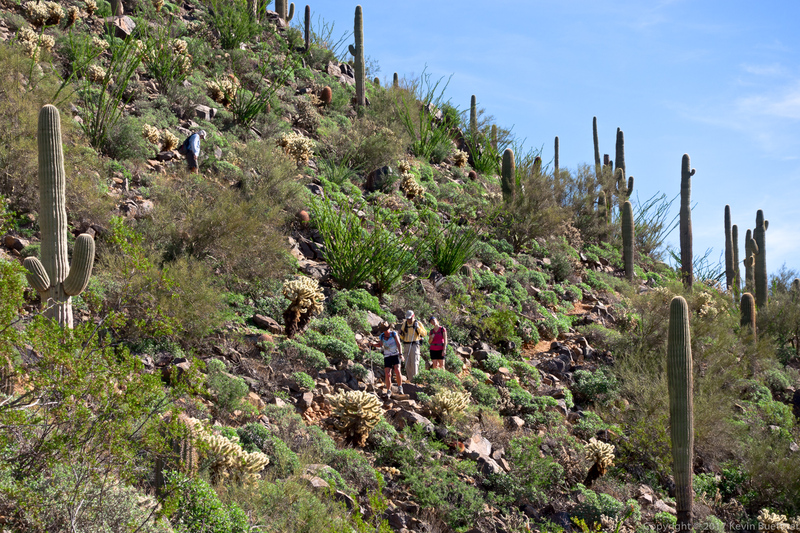 We hiked up the Western Loop Trail, stopped briefly at the overlook and then continued on down the Western Loop Trail. 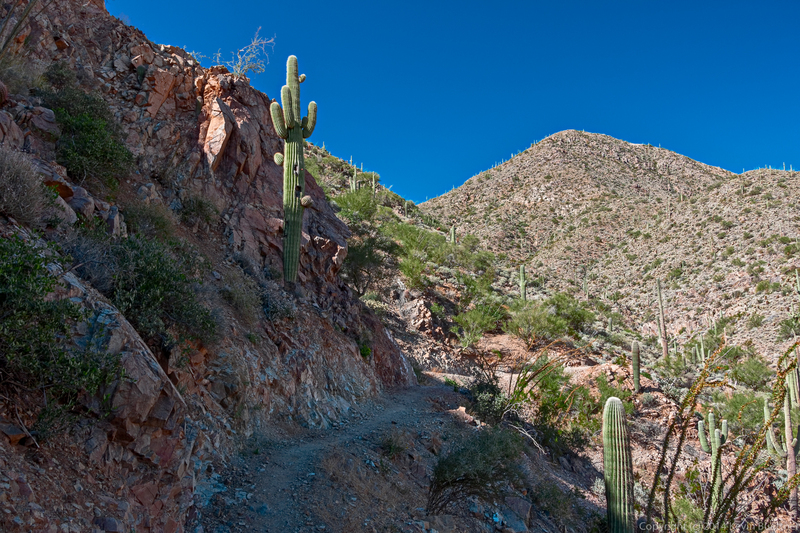 We then took the recently constructed Andrews-Kinsey Trail to the Sunrise Trail. 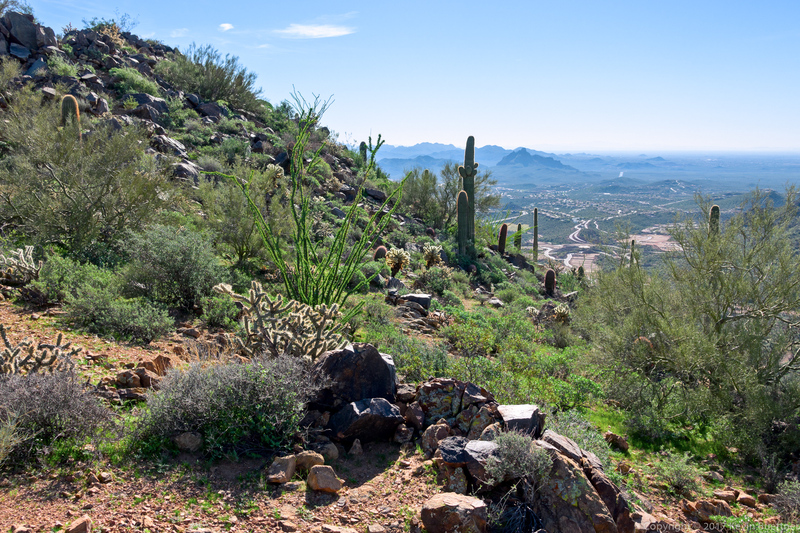 We hiked to the top of Sunrise Peak and then returned to the Fountain Hills side by retracing our steps on the Andrews-Kinsey Trail. 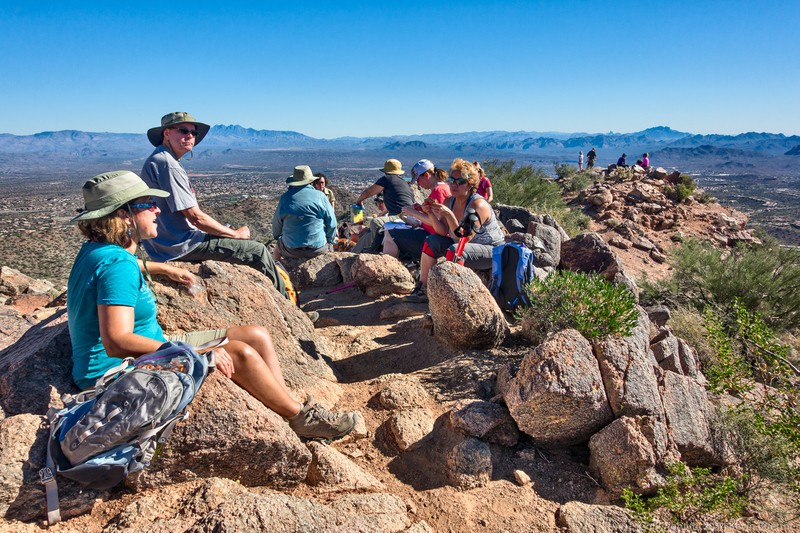 Altogether, we hiked a little over 15 miles with 2800 feet of total ascent. 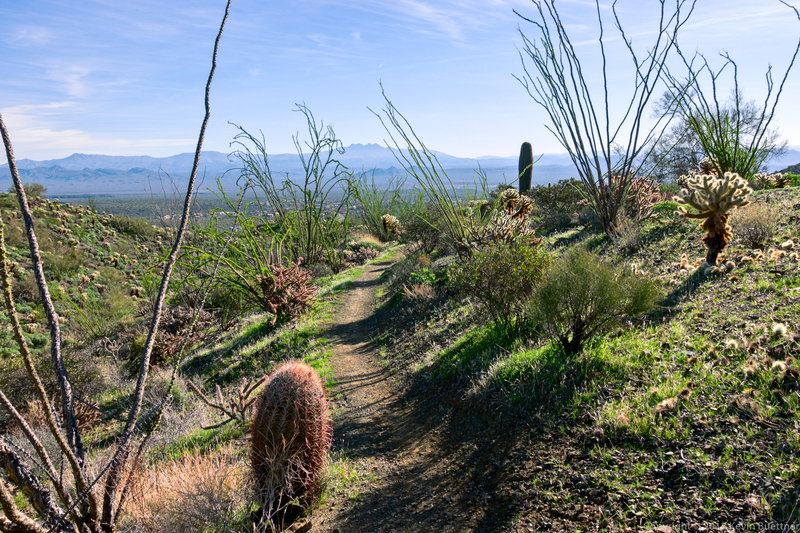 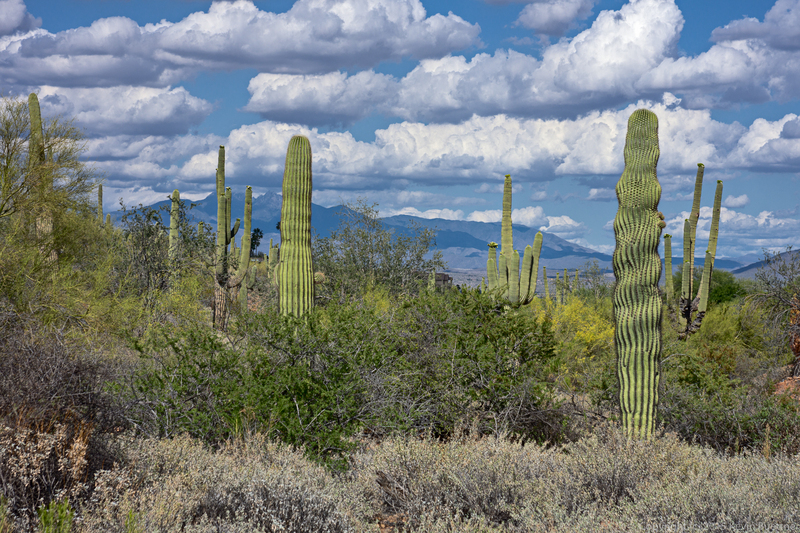 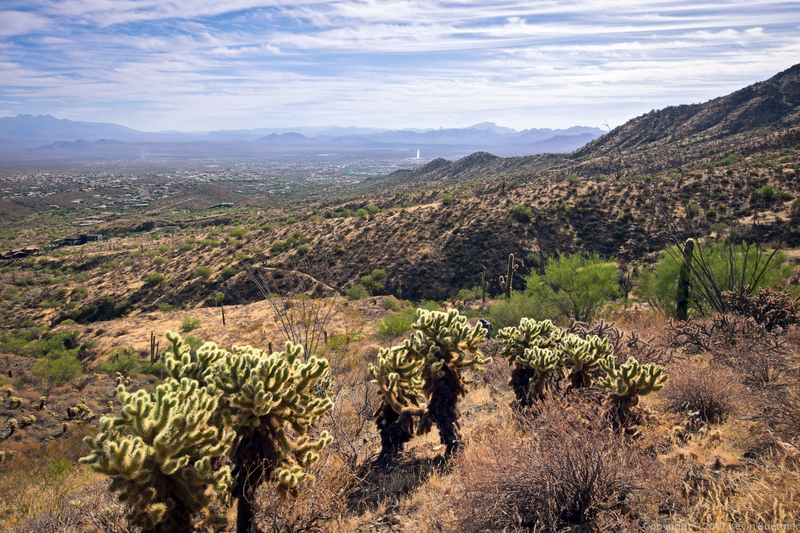 This is a view from the Sonoran Trail, somewhat before reaching the Preserve. 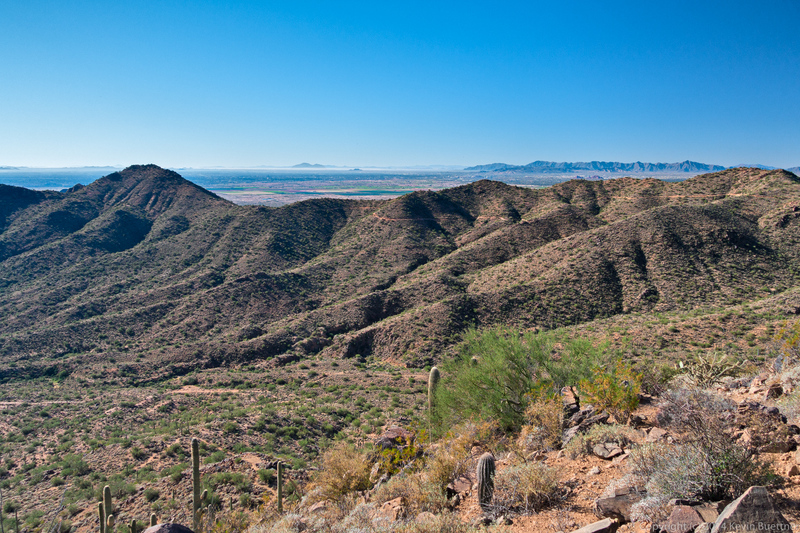 This is another view from the Western Loop Overlook. 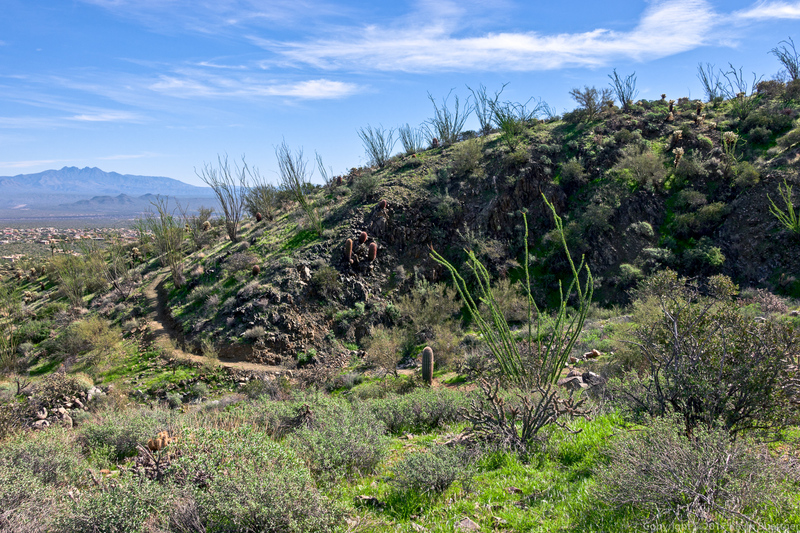 The Andrews-Kinsey Trail is visible in this photo. 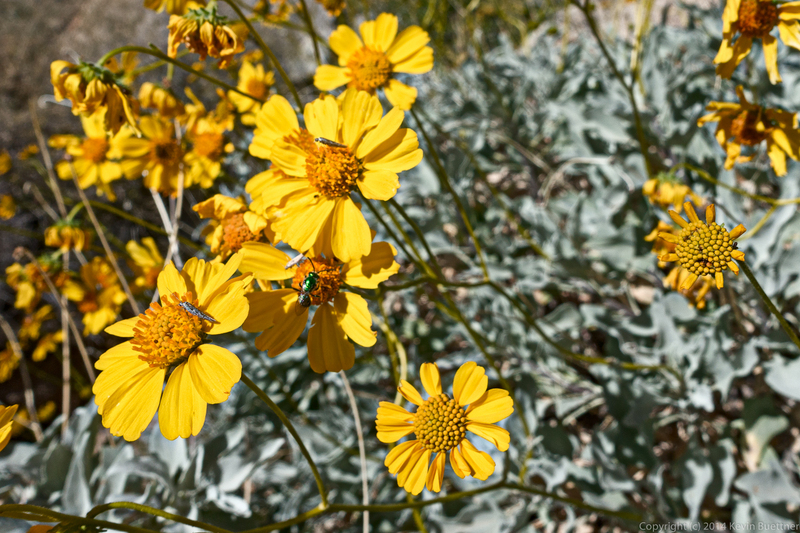 We saw some Brittlebush in bloom, which is kind of unusual for this time of the year. 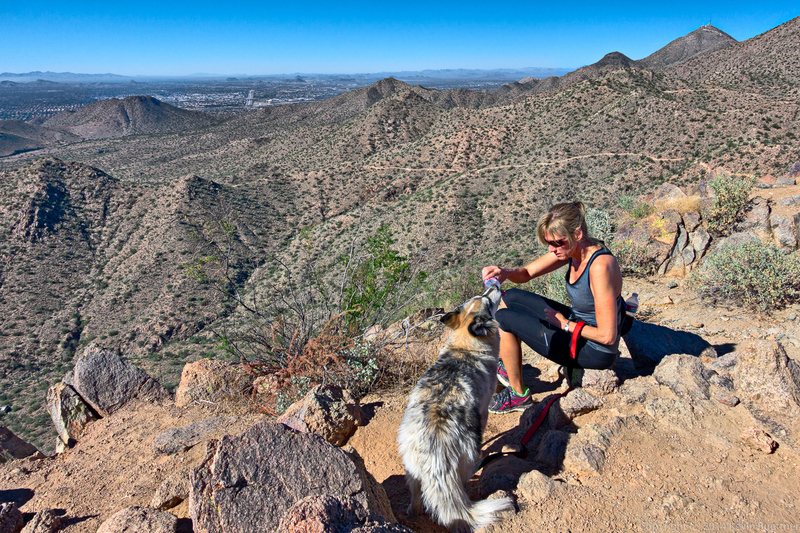 This dog was able to drink directly from a water bottle! 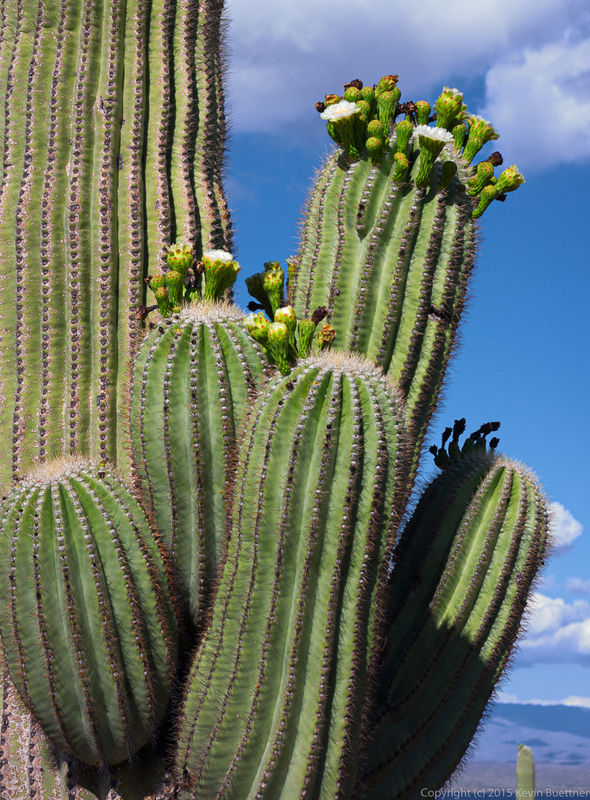 It didn’t spill much either. 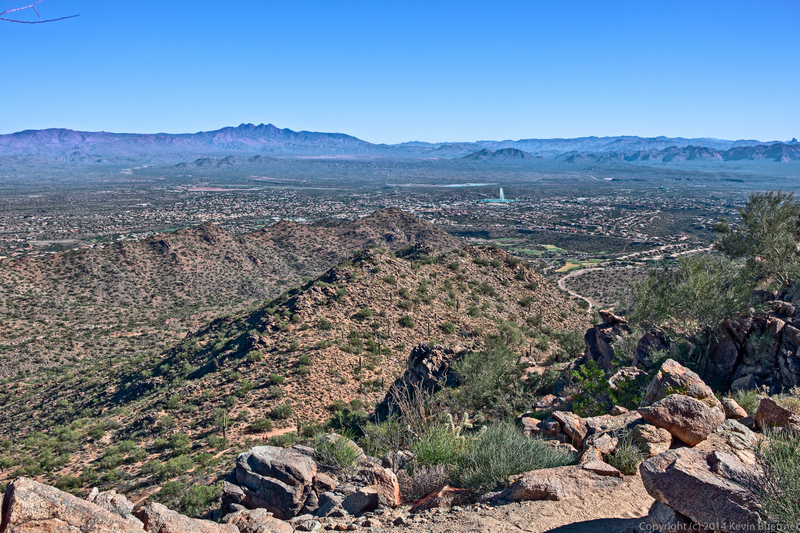 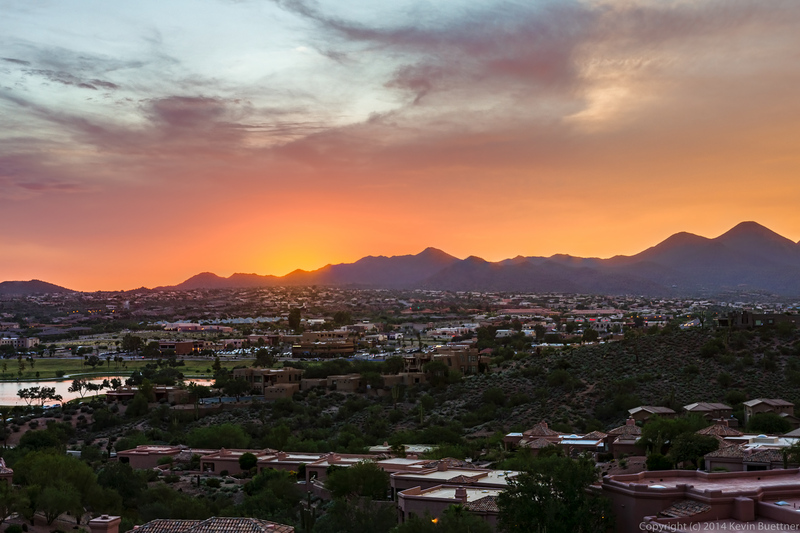 This is a view of Fountain Hills as we were descending Sunrise Peak. 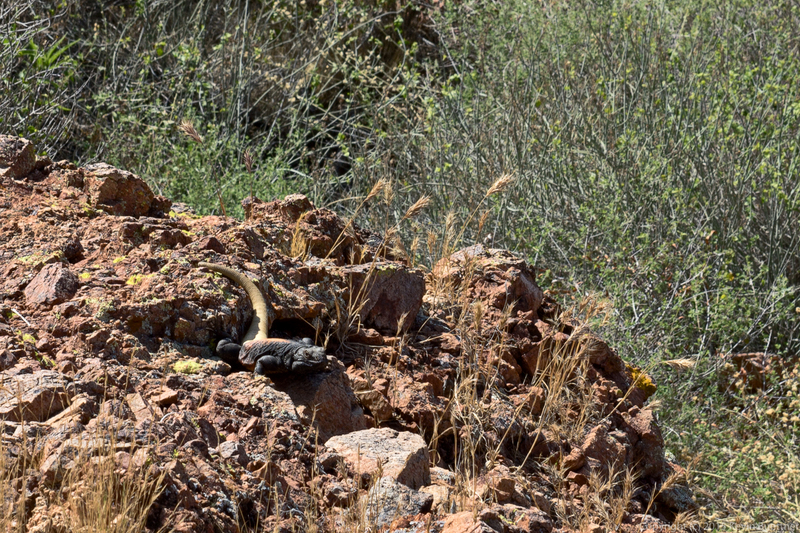 I noticed this rock outcropping on the way back. 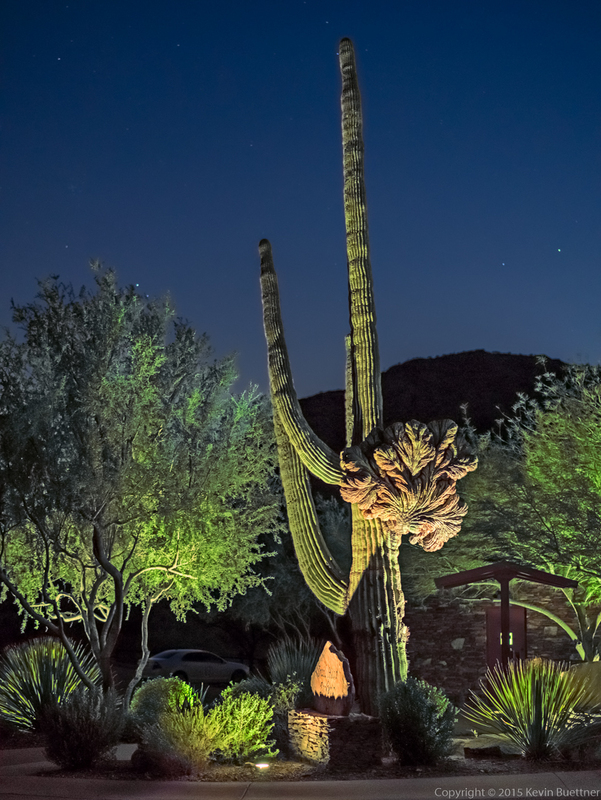 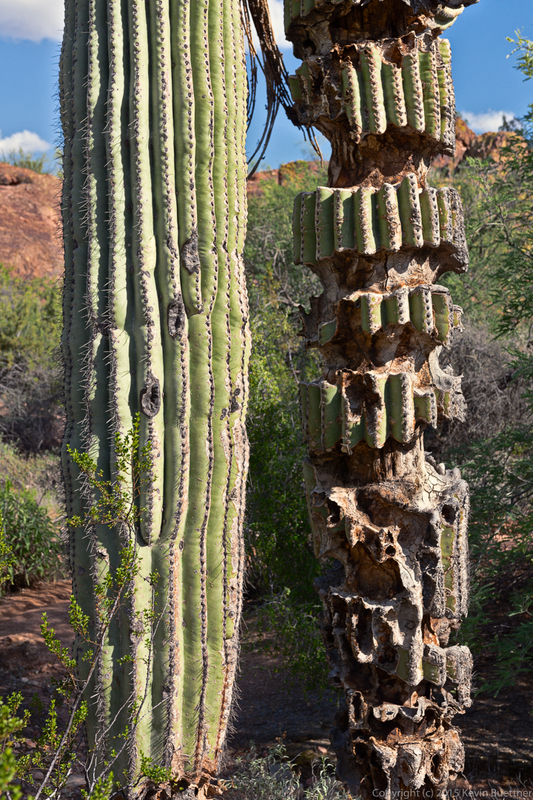 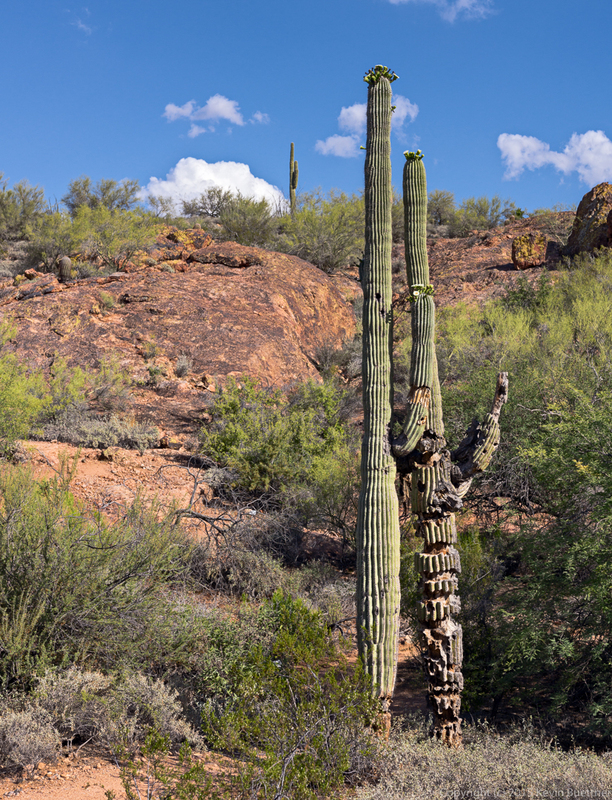 Another view, from the other side, of the saguaro that we saw earlier in the hike. 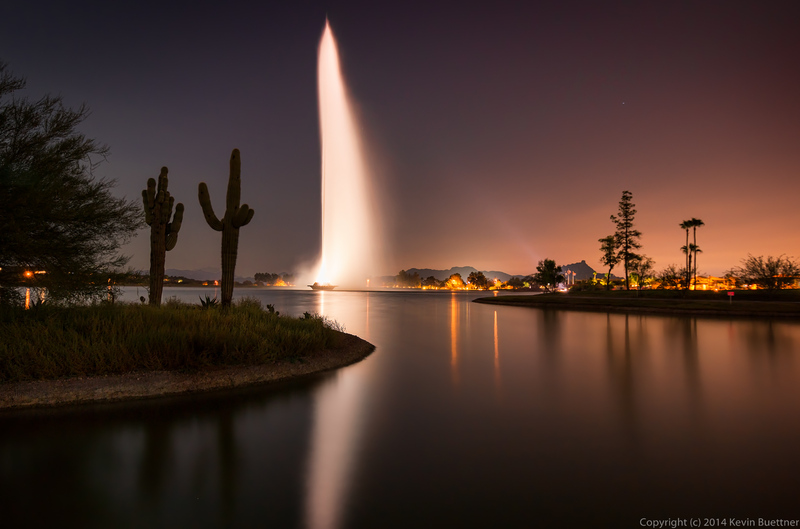 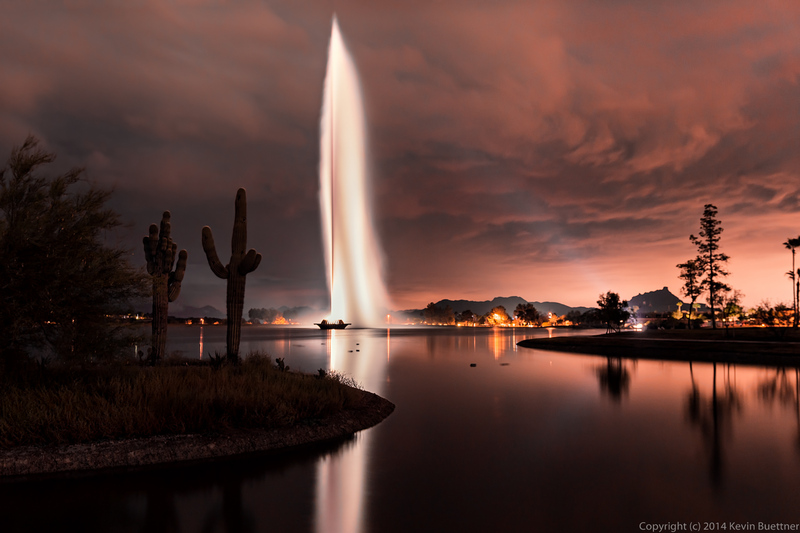 I got this photo of the Fountain on Wednesday evening. 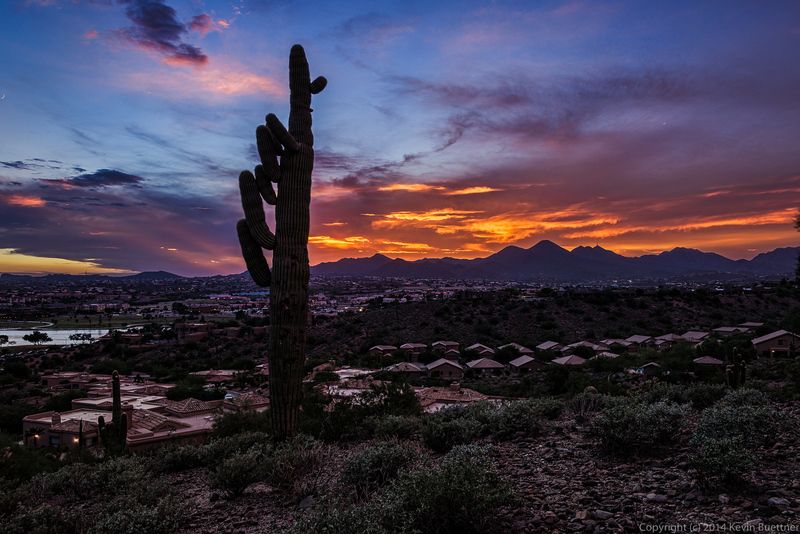 There are two photos here, but they’re the same except for some tweaks to the hue and saturation of the orange colors from the sky.